PEDs use: rampant among fighters? 3-Apr-2013 by THF in Hoot's Corner | Comments Off on PEDs use: rampant among fighters? I can remember Bobby Czyz, who was moonlighting as a color commentator at the time, holding forth at great length on the subject of steroids during a production meeting for a 1996 fight card televised by the Fox Network. He seemed to know an awful lot about them at a time when performing-enhancing drugs (PEDs) were seldom discussed in boxing circles. Czyz, who was scheduled to fight Evander Holyfield in a few months and suspected Evander was juicing, joked that he wouldn’t be surprised if Holyfield’s head exploded before he had a chance to knock it off. Everybody else laughed and looked sheepish. Frans Botha’s positive test for PEDs after a split decision over Axel Schultz in 1995 was a signal that boxing was entering a new and complicated era. Holyfield had been rumored to be a PED user, and years later his name was linked to an investigation of illegal steroid distribution networks, although nothing was ever proved. But that wasn’t the reason steroids were the hot topic that weekend. South African heavyweight Frans Botha had tested positive following a split decision over Axel Schultz the previous December. The result was changed to a no-contest, and the IBF’s announcement as to whether it would strip Botha and vacate the title was imminent. Fox needed to know the outcome before the show started, and I was tasked with the unenviable job of pestering then-IBF president Bob Lee until I got an answer. As it turned out, the IBF did strip Botha and vacate the title, and I managed to deliver the news in time for the broadcast. For me, however, the fights were secondary. The big takeaway that weekend was the unsettling realization that boxing had entered a new age: the PEDs era. Almost two decades later, PEDs are dominating boxing’s news cycle with uncomfortable frequency, and despite increased testing, a growing number of busts, steeper penalties and a disapproving public, more and more fighters are apparently using them. Just as internet hackers always manage to find a way around the most advanced computer-security technology, PEDs gurus will find ways to beat new detection methods, including unannounced random testing. In the long run, testing is like a dog chasing its own tail: Round and round you go, getting nowhere fast. Although it’s true that some commissions do not test at all for PEDs and many that do test for them use inadequate procedures, fighters keep turning up dirty anyway. Consequently, there is a clamor for more and better testing. More suspensions. Higher fines. More lifetime bans. In other words, a fight to the finish, with the outcome and benefit to boxing being problematical at best. Is this really the only solution? Historically, prohibition hasn’t worked, regardless of the substance being prohibited. It didn’t work with alcohol, it didn’t work with drugs, and in all likelihood it won’t work with PEDs. If you think new and improved testing is the answer, I believe you’re fooling yourself. Just as Internet hackers always manage to find a way around the most advanced computer-security technology, PEDs gurus will find ways to beat new detection methods, including unannounced random testing. Look at how many years Lance Armstrong beat random testing. In the long run, testing is like a dog chasing its own tail: Round and round you go, getting nowhere fast. The current testing model also can be inconclusive, as the recent boondoggle involving the Lamont Peterson-Kendall Holt fight plainly demonstrated. At first there was an erroneous report that Peterson — who had been busted for having traces of synthetic testosterone in his system during his December 2011 victory over Amir Khan — had again been again caught using a banned substance. As it turned out, neither Peterson nor Holt had failed his drug test. According to the Washington D.C. commission, one of the boxers — presumably Holt — provided an atypical test result, meaning that the amount of the banned substance (in this case HCG, a fertility drug that increases testosterone and facilitates weight loss) wasn’t sufficient enough to give the boxer a significant advantage. Perhaps it’s time to rethink the entire dilemma. The health issue is a good place to start. As it stands, the vast majority of fighters will suffer some degree of brain damage regardless of whether their opponents used PEDs. Boxers have endured the consequences of absorbing repeated blows to the head since the birth of bare-knuckle prizefighting in the latter half of the 18th century. 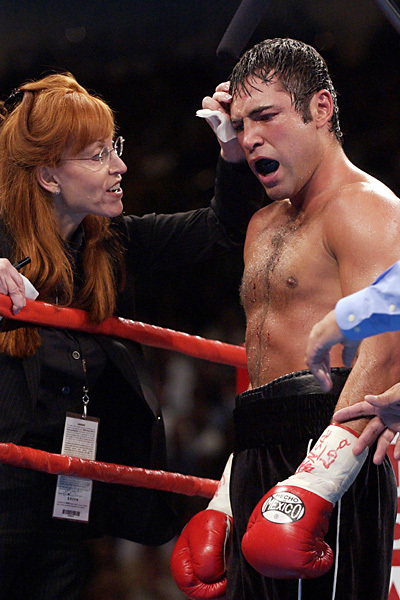 Since that time, numerous rules changes have been adopted in an effort to make boxing safer. It has been an ongoing process that continues to evolve, but the sport still takes a terrible toll on its participants nonetheless. Actual ring fatalities are comparatively rare (usually fewer than a dozen a year), but the number of boxers who, later in life, suffer concussion-related degenerative disorders of the central nervous system is staggering. Dr. Margaret Goodman, a former ringside physician who now presides over drug-testing watchdog VADA, believes that PEDs contribute to increased risk of brain damage in the opponents of fighters who use them. But how much does it really matter? Performance-enhancing drugs, such as anabolic steroids and human growth hormone, have been available for only a relatively short period of time compared to the history of boxing. But debilitating injury and death have been a part of the bargain since the start, and in all probability would remain so even if PEDs were eradicated from the face of the earth. And as far as fighters doing harm to their own health is concerned, a lot of them wouldn’t think twice about the risk if they thought using PEDs could give them an edge. It’s the nature of the beast. The other chief objection to the use of PEDs is that it gives the user an unfair advantage, and if Dr. Goodman’s belief that use of PEDs is “rampant among fighters” is correct, the only way a fighter can make sure he or she is not at a disadvantage is to also use PEDs. Becoming a professional boxer is asking for trouble, but although fighters bear the brunt of the suffering, both combatants and fans share a mindset that relegates thoughts of disaster to a remote corner of their minds. With the exception of families and friends, how many spectators do you think were worrying about long-term consequences as they watched Mike Alvarado and Brandon Rios tear into each other last Saturday? A reality check is the last thing a fan wants when experiencing the euphoria of witnessing two amazingly courageous fighters sacrificing all in the pursuit of glory. What’s more, I don’t recall anybody wondering out loud if either or both men were juicing. 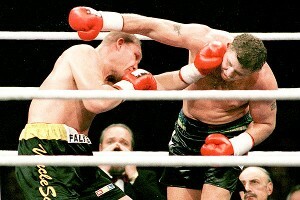 For 12 spellbinding rounds, nothing mattered but the fight itself. If, as many have suggested, sports are an escape from the rigors of everyday life, then boxing has to be the ultimate diversion, a world in which fantasy and reality are melded into one by an agreed-upon suspension of disbelief. You could say the same about a lot of sports, but nowhere except boxing are the stakes so high and the desire to see things through an idealistic lens so prevalent. We don’t like to acknowledge boxing’s inconvenient truths unless we absolutely have no alternative. It temporarily spoils the illusion and takes away from the pleasure. We work hard at finding ways to rationalize an irrational activity, and get defensive when somebody reminds us how heartbreaking the cost can be. But when you get right down to it, boxing is all about hurt and hurting, and like it or not, PEDs are now part of that process.